Meghan, the pregnant wife of Britain's Prince Harry, is scaling back her engagements during the royal couple's 16-day Pacific tour, Kensington Palace said Sunday, ahead of their visit to Fiji, Tonga and New Zealand. 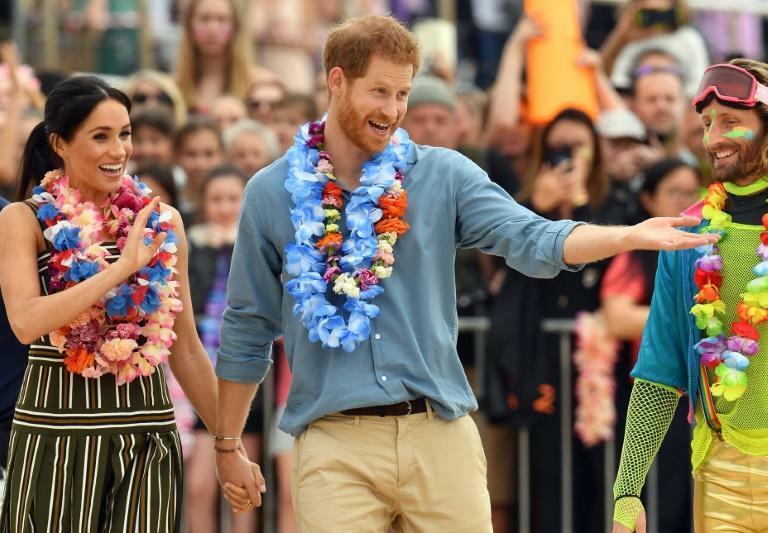 The royal couple have had a gruelling schedule since arriving in Australia on Monday, visiting Sydney, Melbourne and the regional town of Dubbo, as well as opening the Olympic-style Invictus Games for disabled and wounded soldiers. "After a busy programme, The Duke and Duchess have decided to cut back The Duchess's schedule slightly for the next couple of days, ahead of the final week and a half of the tour," Kensington Palace said in a statement. At the event, held in The Domain gardens, the prince was asked by someone in a crowd of onlookers where his wife was. "She's resting at home," the Australian Broadcasting Corporation reported him as saying. "Being pregnant takes its toll." Meghan rejoined her husband for lunch with Prime Minister Scott Morrison, before watching a Games sailing event from a boat on Sydney Harbour. They are due to attend a private reception for the Invictus Games Foundation at Government House late Sunday before heading off to Fraser Island in Queensland state. But Meghan is not expected to take part in official engagements at the World Heritage-listed site on Monday, with Kensington Palace adding that "The Duke will continue with the engagements on Fraser Island as planned". The pair are due to visit Fiji and Tonga after Fraser Island. The news came as Harry received an unusual request from some members of the Australian cycling team at Sunday's presentation -- if he could sign an Invictus pair of budgie smugglers. "Budgie smugglers" is the colloquial term Australians use for Speedo-style swimwear. The Duke of Sussex declined the offer. "He told us he'd love to sign them but he wasn't allowed to," athlete Damien Irish told the ABC Sunday.